How can you get started with macros? This post is designed to give you what you need to get started with a flexible approach to weight loss and nutrition by tracking your macros. I get a lot of coaching inquires weekly at this point and just can’t get everyone in a program. I realize not everyone can work with me one and one but I have this mission to help 100,000 people lose weight and keep it off for good without diets and restrictions by the year 2020. By consuming this content, applying it, and sharing it with someone, you help me achieve my mission to help more people, and you will begin to see results with your nutrition and fitness goals. 1) MyFitnessPal (yes there are other macro tracking apps but this is the one I personally use with my clients). 2) A digital food scale. Measure and weigh EVERYTHING to get started. You will notice your food habits will improve just by measuring your intake for a week. What the heck are macronutrients? Macronutrients are where we obtain calories from. Calories are a stored form of energy. The main three macronutrients are protein, carbohydrates, and dietary fats. Alcohol being the fourth, but we will focus on the other three in this context. Micronutrients are vitamins and minerals that do not contribute calories to the diet. 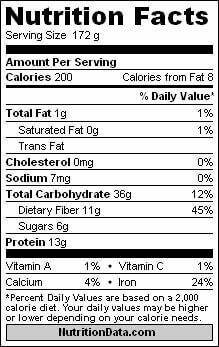 Here is how to break down macronutrients on a food label. Remember, only protein, carbs, fats, and alcohols contribute calories.Note by searching the food in the MyFitnessPal database or using the bar code feature scanner you avoid doing any of this math but I will show you just for an example. Be aware of serving size. Some labels will list macros per serving, but then say that an entire container is actually multiple servings. That’s how they get ya! Please do not track your macros by hand. In 2017 technology is your friend I promise. Total = 205 kcals due to label laws and the ability for food companies to round down. Should I count calories or macros? Great question. For my clients I just give them macro goals. They could easily do the math and find out their calories daily. 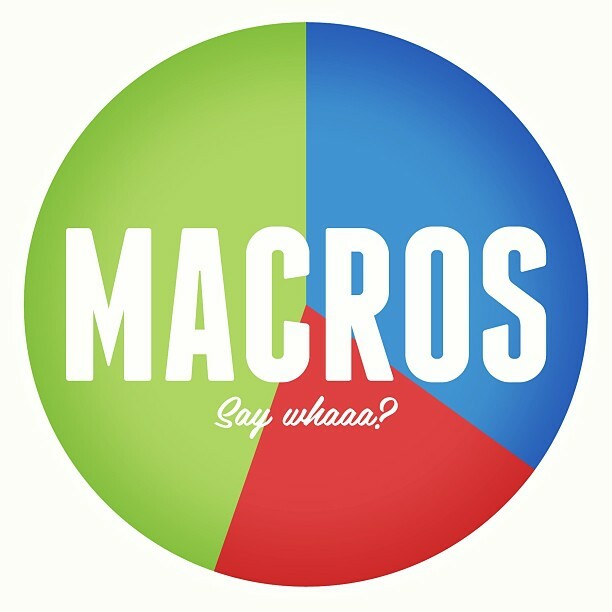 I find it easier for a client to focus on the macros solely. This way they aren’t over eating on days to hit a calorie goal. Can you lose weight just by being in a deficit and not having specific macros? Technically yes, but it is by no means ideal. Dialing in your macronutrients will produce the most expedited and sustainable results. Now let’s get into each specific macronutrient. Protein serves numerous roles in the body. To sum it up protein helps to build and repair muscle tissue after a strenuous workout and generates new tissues. 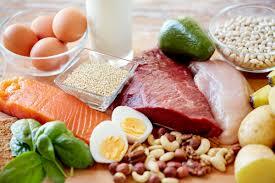 Protein is the most satiating macronutrient which means it will keep you fuller longer compared to carbs or fats. Protein also has the highest thermic effect of food aka TEF. It’s a fancy way of saying you burn more calories from protein than any other macronutrient to digest and absorb it.Roughly twice as much. So, keeping protein moderately higher than the Standard American Diet is an excellent idea for fitness enthusiast.The Standard American Diet is garbage. The SAD recommends a measely 20% of intake from protein and I couldn’t disagree more for active individuals. With that being said, more protein does not mean more muscle. Having balance and synergy with the other macronutrients is very important. All of these have protein in them. But they are classified by what macronutrient occurs in the highest abundance. Make sense? Cool, let’s move on. I knew you were going to ask this. It’s not a simple question to answer. Look standards are pretty useless. I listen to how my clients body is responding and I set their targets based on that. It depends on their age, height, weight, percent body fat, workout schedule, and goals. With all that being said I am going to use a sample client scenario here to give you an idea on how I do it with my coaching clients. She is a 35 year old female. She is 5’6, 185 lbs, 25% body fat. She works out 4 days per week. She wants to lose 25 lbs. Carbs are the body’s preferred energy source. All carbohydrates are broken down to the substrate glucose which is the simple sugar energy source your body prefers. You store glucose as glycogen in the liver and the muscle. When you strength train and you are doing those squats and lunges your body metabolizes skeletal muscle and liver glycogen into glucose for energy. If you are working out intensely, yes. People who love ketogenic diets will now kindly excuse themselves from the blog. Physiologically you can survive without carbs through a process called ketosis, but it’s not ideal or sustainable. A ketogenic diet is one of the most restrictive protocols out there and takes insane amounts of planning and adherence. Can you go the rest of your life without a slice of bread or a piece of fruit? I sure can’t. Very low-carb diets set people up for transient results with really nasty rebounds. Plus if you are trying to get stronger in the gym you will have a better time doing it consuming adequate carbohydrates. Carbs are not the enemy. Excess calories cause weight gain, not excess carbs. Fat is suboptimal fuel for high intensity workouts. Without getting too technical here, the research has proven that your body can not convert free fatty acids into ATP (your cells energy source) as rapidly as it can break down glycogen (stored carbs) and convert it into energy. The high fat low carb diet can be detrimental to performance for the athlete during high intense workouts. Eat your oatmeal! I break carbohydrates up into three separate groups for simplicity sakes. Note that these are all carbs and need to be counted as carbs in terms of your macronutrients. This list is not comprehensive but just to show some basic examples. Starches/Grains: Rice, beans, pasta, bread, legumes, lentils, potatoes, etc. Fruit: Apples, Bananas, berries, mangoes, oranges, etc. Vegetables: Broccoli, asparagus, kale, spinach, etc. There is no such thing as a free food or negative energy food. That does not exist. We would not survive as a species if we were burning more calories eating foods in the wilderness than they were worth. Even fiber will be reabsorbed by the micro bacteria in your intestines and metabolized. For the general population don’t worry about calories from veggies. Eat as much as you want. Yes, the few cups of broccoli you ate will have some carbs in it but you won’t be gaining weight or not seeing progress from that extra handful of kale at dinner. I take the remaining calories (1260 and 960 respectively) and split them between fats and carbs. For this client I will give 60% of remaining calories to carbs, and the remaining 40% to fats. In my experience most clients who are strength training and in a calorie deficit prefer to have more carbs than fats. Personal preference of my client may dictate other wise. Refeed days are strategic higher carb days to help mitigate some of the adaptations that occur during weight loss such as: decreased thyroid production, decreases in basal metabolism, and decreases in fat burning hormones. These are NOT cheat days. I don’t believe in having an un-restricted binge day where you eat whatever you want. That is unnecessary with a flexible approach to weight loss since no food is off limits to you. Since Suzie is just starting her weight loss journey, I would not implement a refeed day right at the start here. When we progress her program and she is seeing weight loss progress, then I would add in a strategic refeed days once per week during an intense strength training day. Dietary fats serve as a stored energy source in the body used in conjunction with glucose. Fats and cholesterol also serve as precursors to essential hormones in the body. You need fats and they should not be feared or demonized. 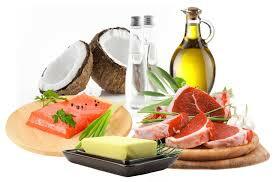 Dietary fats are very satiating and make excellent snacks especially when carbs are lower. Fatty cuts of meat and fish (salmon and ribeye), dairy (full fat yogurt and cottage cheese), nuts, nut butter, oils, seeds, coconuts, avocados, as well as other sources. Suzie makes a return for this final example. So the remaining calories are 500 kcals on her workout day and 380 kcals on her off day which I assign to dietary fats.In this example as previously mentioned I am keeping carbs higher in relationship to fat since she is weight training four days per week. Note – I always listen to how my clients body responds and how they feel as the best indicator of progress. Anyone can break down macros on a piece of paper. A true expert gets their clients to the end results in the healthiest and safest way possible. This may look good on paper, but how Suzie responds mentally and physically will tell me what adjustments to make next. The last macronutrient is alcohol. I’m going to omit it for the reason that you already know you should consume alcohol at a minimum if you are looking to lose weight and make body transformation changes. It can be tracked in my fitness pal and worked into your intake sparingly. Count it as a carbohydrate. Net carbs is a bull sh*t marketing tactic. Shoot for a goal of 28-35g of dietary fiber daily for GI health and to keep you full and satisfied. Oh and what about cholesterol, sodium, and saturated fat? Unless you have hypertension, hyperlipidemia, or high cholesterol don’t worry about these. Dietary cholesterol is fine in healthy individuals. Dietary sodium is an essential electrolyte for heart function. Saturated fat is OK as well in moderation. Focus on getting most your fats from polyunsaturated and monounsaturated sources such as nuts, avocados, and nut butters. If you are in a calorie deficit, obtaining adequate fiber, and your macros are balance properly then sugar is irrelevant to weight loss. Layne Norton did an awesome job explaining there was no difference in weight loss in a strong study that evaluated a group who consumed 118g of sugar vs a group who consumed 11g of sugar when they were both in a calorie deficit. Hit your fiber and your macronutrients daily and don’t stress about sugar intake. It most likely will be minimal if you are sticking to micronutrient dense and wholesome food choices most of the time. Hitting your numbers consistently over time is more important than worrying about minute details. Let personal preference dictate food choices and meal timing. The occasional Oreo Sundae is dietitian approved! Just fit it into your numbers. Awesome information Tony, but now what? Focus on progressions not perfections. Start tracking everything you eat and drink for a week. Use a food scale and measuring spoons. Don’t try to estimate in the beginning. You will be wasting your time. Ask me to measure out two tbsp of peanut butter without a food scale when I’m hungry and I’ll give you four. Ignorance may be bliss but it’s not going to give us results. Living without the food scale and estimating portion sizes is a realistic option down the line once you have the hang of things. But not yet. Below is an example of serving sizes if you can’t get your hands on a food scale yet. Next, assess what your weight is doing after that week. Are you losing, gaining, or maintaining? Adjust from there using the above example as an outline for a weight loss client. My go-to standard macro reccomendation from a percentage view is 40/30/30 protein/carb/fat. I use this during group presentations and as a broad standard. For maximum results having a tailored and specific plan will expedite results. I set specific goals for my private clients for workouts, cardio days, sedentary days, and refeed days. I also tailor and adjust these over time to get them to their goals, and teach them how to maintain it. Weight loss is not a linear process. The macros you are on today will not be what you will need in a month or maybe even in a week to continue to see results. Your body is very resilient and adaptive. A progressive program is required. If you have been playing around with your own macros and not seeing results then go here to jump on the wait list for when spots open up for private coaching. The most important thing is just get started today. Imperfect action will always beat waiting around. Seriously, don’t hesitate to ask me your questions. I’m never too busy to help someone in need. If you found this helpful please share with anyone else you know it may help.